About eight years ago, Greenburgh Town Supervisor Paul Feiner had an idea. He wanted to preserve, on video, the memories of the veterans from the Town of Greenburgh who served in World War II, the Korean War, and Vietnam. Fast forward to 2019 and there are close to 150 30-minute videos from Greenburgh veterans who served our country. You can watch them on the Greenburgh TV website at www.greenburghpublicaccess.com. This month, the town of Greenburgh is planning to debut a similar video series featuring Greenburgh residents impacted by the Sept. 11 attacks. But with 9/11, the events of that day arise painful memories for many people that still feel relatively new. The town has formed a committee to start reaching out to residents with 9/11 stories to tell. Among those already on tap to commit their memories to video are a former CBS News reporter who covered 9/11 and a resident who lost a sister in the attacks. Feiner believes Greenburgh is the only town in New York creating such a video memorial archive. His plan is to not only feature the videos on the Greenburgh town site, but also make them available on YouTube. The River Journal will also be posting the videos regularly to our website, where you’ll be able to find and view them at www.RiverJournalOnline.com/911. 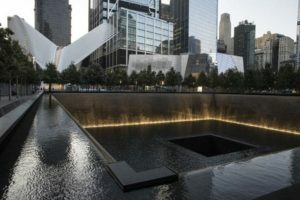 Feiner hopes to give the videos to the 9/11 museum in New York City. “The goal is to keep history alive, to let people know that Greenburgh was part of 9/11 and highlight the contribution our residents made. And to encourage young people to get involved and even do some interviews,” said Feiner. If you have a story to tell about yourself, someone who perished or someone you know who was impacted, please contact Paul Feiner at pfeiner@greenburghny.com or 914-989-1540.